Chaos Created was tasked with creating a site for film, tv, and app composer, Andrea Possee which needed to showcase her audio work, scaling between devices. 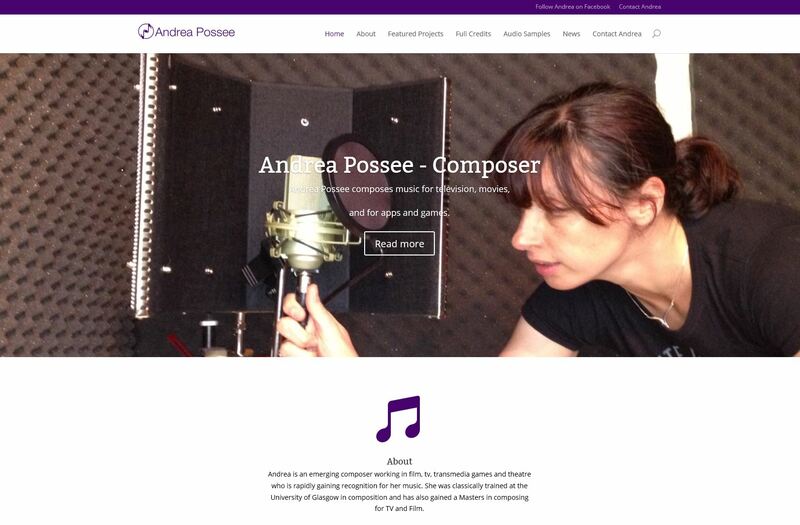 The site showcases Andrea’s talents in creating music in different genres, for different platforms, whilst being responsive to tablets and phones. The site features an interactive portfolio, embedded audio (which plays on phones and tablets), and a bright, professional, yet personal design.